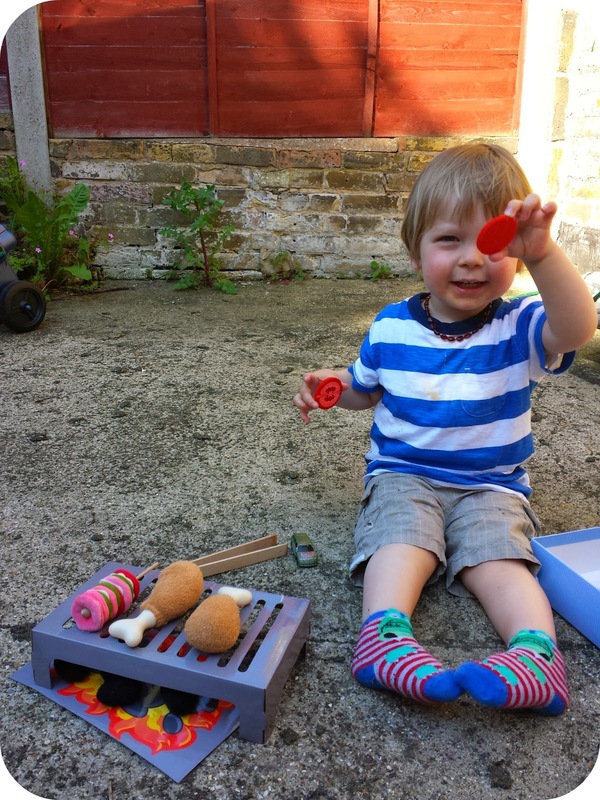 The Adventure of Parenthood: Time for a BBQ! Finally the weather seems to have improved and we have been busy having BBQs in the garden - pretend ones that is. 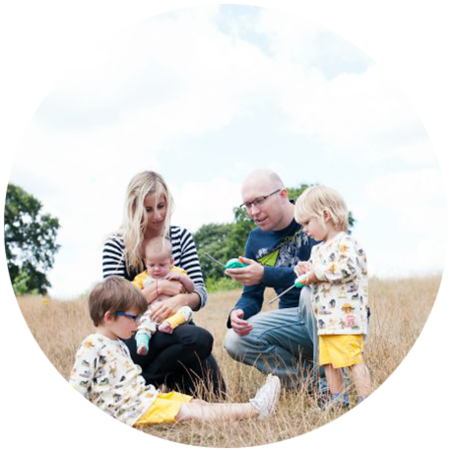 Dylan's imagination is growing by the day and he is loving role play and pretend at the moment. 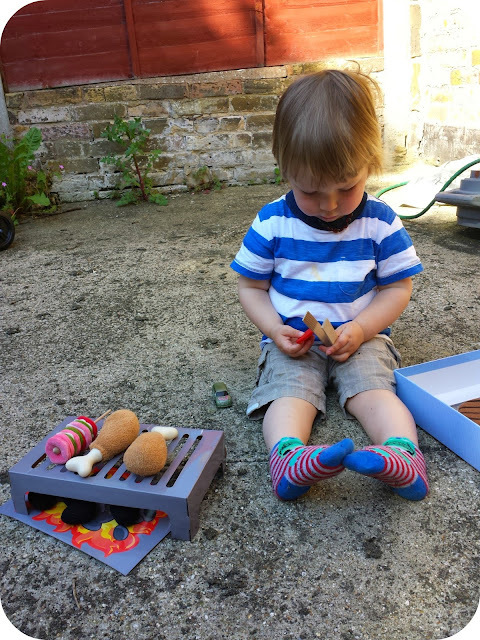 The Toadstool sent him a Haba BBQ set to play with and he has been enjoying cooking for his brother and I and attempting to feed chicken drumsticks to poor Archie. 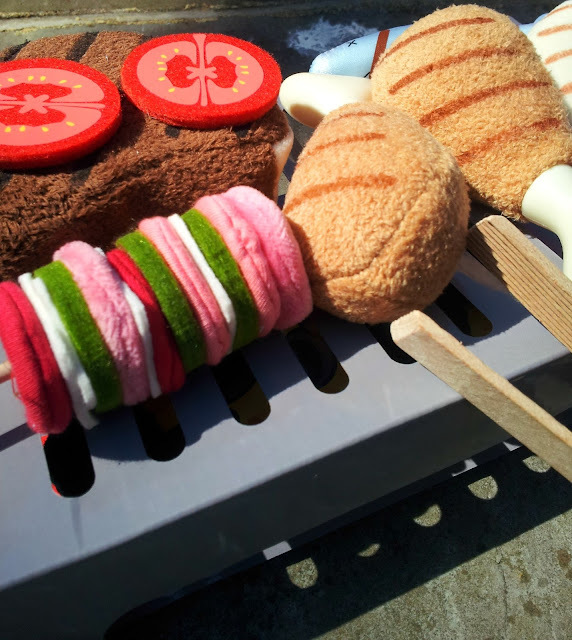 The set comes as a selection of barbecue foods, all made with felt and soft materials and incredibly high quality. I love the fact that they are not plastic like most children's toys and the colours are vibrant and fun. It also comes with a BBQ grill and I was very disappointed with this as it was made of thin cardboard and not sturdy enough to withstand a toddler. We have made sure that the set goes back in the box after every play but the grill is already looking crushed and battered and certainly won't last until the end of the summer. 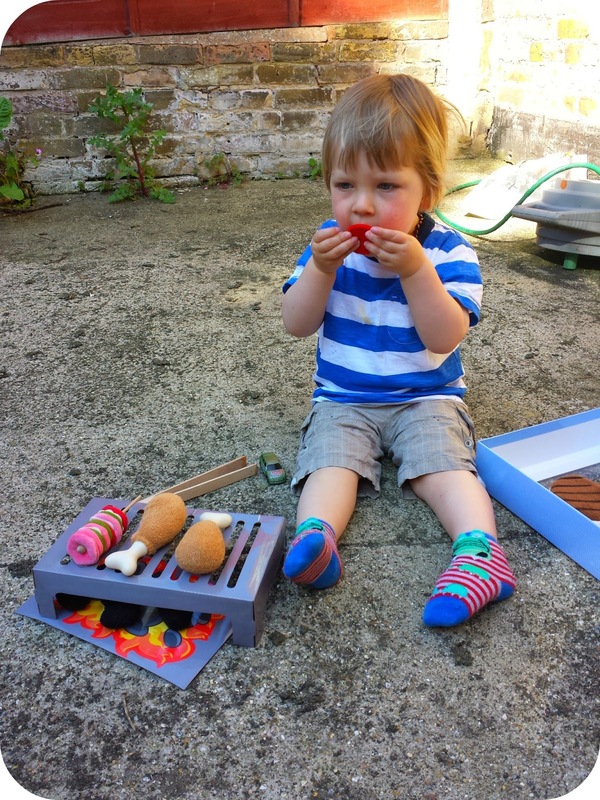 I am going to attempt to make my own grill out of some stronger materials as the toy food is fantastic and Dylan loved practising picking things up with the tongs (included). 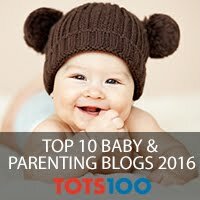 I think this toy is perfect from when they start with imaginative play and will last a long time as the food is great quality. All the food items are machine washable which is brilliant for my house as it won't be long before Archie is crawling around and chewing on everything he can find. The fact that the food is made of soft materials is also great for having a baby around as should anything accidentally get thrown, it isn't going to cause any harm. It is sold at £26 which seems a little expensive when you would have to replace part of the toy but if you have a toy kitchen or grill already then this would be a great addition. Dylan loves playing with it and it is great watching him explore, learn and develop his imagination. 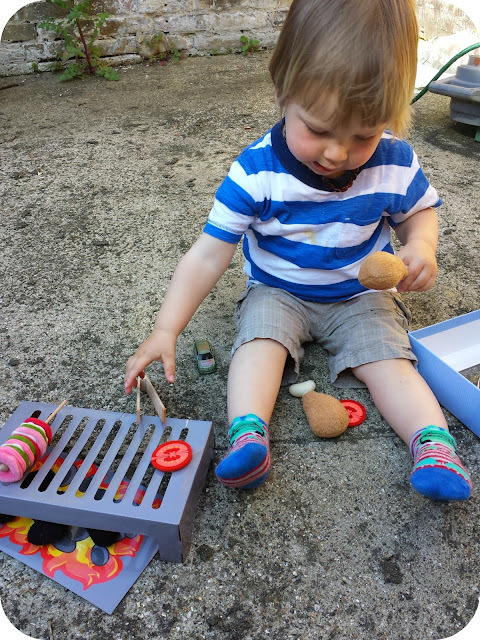 Amendment : This toy has now been discounted as the quality of the grill is in question. You can also buy the food separately at a considerably cheaper rate which is a real bargain. Disclaimer: We were sent this toy free of charge for the purpose of this review but all thoughts and opinions are completely my own. Interesting review. I'd actually looked at this product recently as I've been set a challenge to host a BBQ (we don't own one yet!) and thought it would be good for Monkey to have his own. For HABA I think it's a bit disappointing that the grill is not up the task of being handled by a youngster, such as shame when their quality is normally so good.